The Diversity product forms part of a wider Riliance, Risk and Compliance software system which has been specifically designed to assist firms in meeting their compliance obligations under OFR. The principle of being able to build a strong Risk and Compliance culture within a firm using a purpose built product is embedded in the Riliance system and vastly improves the efficiency of managing these vitally important areas of the business. Version 2 of Riliance has just been launched incorporating a number of key enhancements based on feedback from a number of firms who have been using the system for some time. 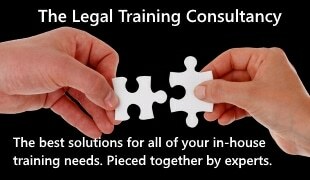 Having sat in front of nearly 3,000 practices over the past two years , our experience of the approach that law firms have taken in adapting to the new regime has been wide and varied with most accepting that regulation and compliance is a really positive foundation to achieve best practice and ultimately deliver the best possible service to clients, in return they can assume a level of repeat business and build a thriving business. The time burden of managing these critical areas within a firm varies wildly depending on the value placed on adherence and how embedded in the culture of the firm the partners want compliance to be. Driving home the message that it is everyones’ responsibility and of course obligation has come easier to some than others and many need a helping hand from risk and compliance experts, they do after all have a legal practice to run! There are of course the “star adopters” of the best technology, advice and internal training who have embraced the OFR regime as change for good. These practices often spend less time dealing with compliance on a daily basis than some of their counterparts in less progressive firms and we have found that this is often due to the investment they have made up front in understanding the principles of OFR , creating a strategy and investing in the right tools for the job. If you pair the understanding with an efficient management process the results can be extremely impressive with time savings alone, and this is before you take into account the potential cost of getting it wrong. At the outset the fear factor for the newly appointed COLPs was a major problem and allocating adequate time to do the job effectively was often not factored into a firms plans, we have now started to see a significant improvement in this area as the market becomes more familiar with the demands placed upon those charged with heading up compliance within the practice. There are however a large number of firms who are trying to manage compliance using paper based processes or spreadsheets which can be both laborious and extremely unreliable and, in the case of the collection and collation of the diversity data wholly unsuitable, as they cannot guarantee anonymity for the respondents. As firms move into year two of the COLP, COFA regime we anticipate the market to reflect a level of maturity gained from the lessons learned in 2013 and as activity and engagement from the SRA increases we are expecting even greater feedback on what firms need from our products, we have already seen a rise in the requests for compliance support alongside our software which has prompted us to provide a full suite of “handholding compliance support ” options delivered by our specialists to aid firms in their compliance journey. Mark Gidge is the Chief Executive of Riliance Software Ltd, the UKs leading provider of Risk and Compliance Software for Legal practices.